Telugu Weddings are indeed an amalgamation of the quirkiest wedding rituals and age-old customs. Stepped in meaningful traditions, Telugu weddings reflect traditionality in every aspect of the marriage. And the only part that interested me in writing this is because of the 16-day marriage Telugu people have. Yes, you heard it right. Imagine the joyous moments of your life being celebrated for 16 days. Apart from the 16-day wedding cut down to a 2-3 day procedure, Telugu people have kept the essence of their traditional marriage alive. While there are several elements that showcase their classic customs, the bride, still getting draped in a Dharmavaram Saree on her wed-lock is the most prominent one. Through this article, we’ll go deep into the roots of the traditional Telugu wedding sarees. The great trinity of Indian wedding sarees includes the Kanchipuram silk, the Banarasi silk, and the Dharmavaram silk. 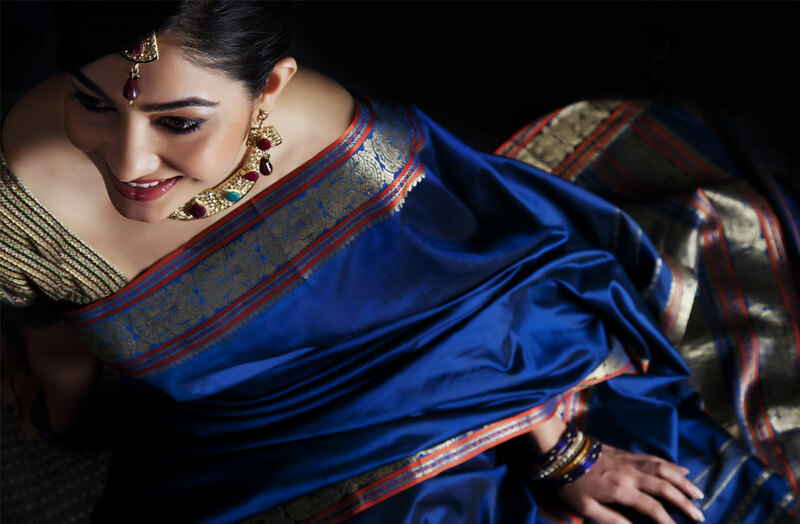 While the former two have been extensively covered and are the instinctive choice for most brides, the beautiful Dharmavaram silk saree has resurged as the saree of choice for the contemporary bride looking for a colorfully ethnic wedding. Interestingly, the weaving of Dharmavaram sarees is one of the latest, in comparison to all other drapes. Dharmavaram sarees are famous for their sheer brilliance and beauty of the weave. Woven initially only as wedding sarees, in shades of red and yellow, the weavers innovated over time to include all colors, motifs, designs, and embellishments to keep up the market pace and yet, Dharmavaram sarees have established themselves as a firm favorite with saree connoisseurs. While these sarees are over a century old, they are a must have if you’re getting hitched in Telugu Style. Dharmavaram Sarees are traditionally woven in the interlocked-weft technique. These sarees have broad borders with solid colors giving an effect of muted double shades and contrasting pallus woven with intricate golden zari brocade. The double colouring gives a distinct twisted effect, unique to these sarees. Brocade patterns and motifs include intricate temple designs and a variety of ethnic Indian designs like the elephant, peacock, lotus, etc. Most of the motifs designed on the sarees are oriented towards religious and ceremonial emotions. Peacock feathers and peacock motifs make for the most popular designs. Next comes the Brahmakamals, star designs, and elephant designs. Sufficient inspiration has been drawn from temple architecture and such motifs are routinely represented on saree pallus. These sarees have a distinct gold plated border with self-printed artwork. Motifs also depend on the discretion of the weavers and their genius. Apart from South silk, Dharmavaram sarees now are mixed with Assam silk, tussar, cotton and cotton silk. Though the Dharmavaram sarees are similar to Kanchipuram sarees of Tamilnadu, yet the muted colors, the double shades create a totally different effect. Along with a variety of colors, these Dharmavaram sarees come in handy for almost all occasions. Have a Telugu friend who’s getting hitched soon? Shower your knowledge on her by gifting her one. Looking for a picture perfect moment? [Vshoot] is here. [Vshoot] Photography, with its base in Hyderabad always provides the most promising premier wedding photography services all over India. 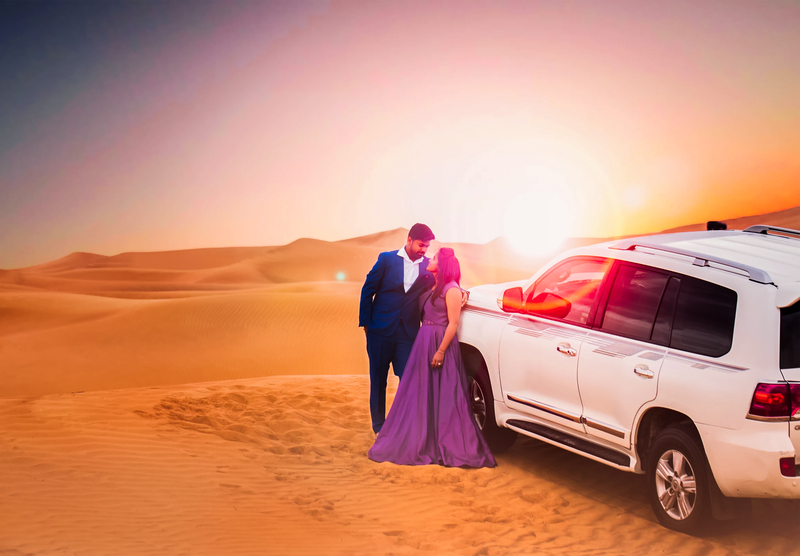 Our wedding cinematographer never compromises on the quality so they always prefer using HD and 4K cameras for freezing your memories on your D-Day and also unmatchable editing services are guaranteed.